Q. How do I find a peer reviewed article? Most databases will offer a tool to limit your results to only articles from peer reviewed journals. Simply click the checkbox next to the peer review limiter, and all of the articles on your results list should only come from peer reviewed publications. 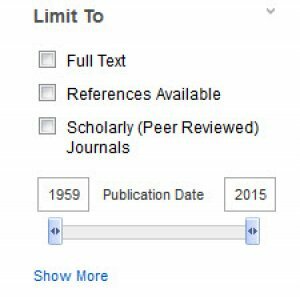 If you are in a database or website that does not provide this limiter, you can search the journal's website. Usually, the website will provide information about the scope of the journal and whether articles go through a peer review process.